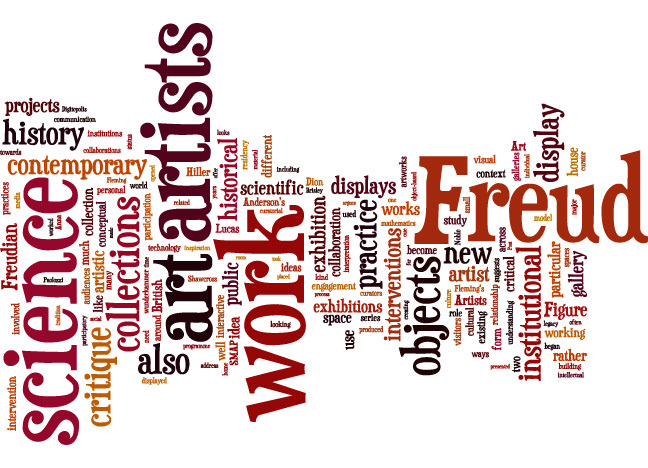 Wordle from the final text of my dissertation. I finished my Masters. Completed my dissertation on a laptop trembling on the verge of implosion, handed it in and…. even the expected anticlimax (no mark or overall grade for several months) was anticlimactic. In a few days my library card runs out and I’m back to being a pleb, begging for articles on #ICanHazPDF. In lieu of any tangible sense of achievement, I only have reflections on the experience. I think I made the right choice of course. Not only because studying bang on the doorstep of work makes it easier to get to the library in the lunch break; I’m glad I didn’t choose distance learning. There’s something about the immanent presence of other people that makes learning easier for me. People to bounce ideas off, to contradict , to find out more about, with different backgrounds and opinions, make all the difference. There were only a couple of places this didn’t work. The core course was taught by ten tutors in rotation, so none ever really got as far as getting the hang of the classroom dynamic; one other course was taught lecture-style rather than seminars. Facing front, we could hardly see each others’ faces, let alone start conversations. I’m also glad that I chose an interdisciplinary course rather than a ‘museum studies’ course. The genesis of the Birkbeck course seems to have been a shared interest in something like ‘the problem of museums’ across several departments, rather then being rooted in archaeology or curation (although a lot of it was broadly in the area of art history). It didn’t feel like a museum career course as much as some others I looked at. Nevertheless, as part of the core course we did have to sit through a couple of slightly painful practical sessions on ‘how to get a job in a museum’. If I wanted to ‘get a job in a museum’ I wouldn’t start by doing any kind of museum course – I’d start by learning to do something useful that a museum needs, like being a press officer, a marketer, an educator, a conservationist, or even a website editor. I was lucky enough to be able to do a module at UEL; Birkbeck organised the exchange of students with another new kid on the MAs-in-cultural-heritage block. How different two London universities can be. From the 19th century cosiness of Bloomsbury to new buildings on freezing docksides, rattled by planes landing at City Airport every few minutes. UEL felt part of a different London: less affluent, less white, less secure. But classes were twice as long, discussions longer and more divergent; sometimes watching entire films. Tutors who were more politically committed, practicing artists. Even the idea of ‘visual culture’ seemed to mean something different, more steeped in an explicitly political legacy of cultural studies, than it did at Birkbeck. There were some crossovers with my day job – I wrote module essays on the Wellcome Library’s collection of AIDS posters, and on video games. A few colleagues very kindly read chapters of my dissertation. But in most ways, my professional and academic worlds remained separate. Something about being a student made me keen to present at academic conferences, and to extend my thinking about my work into areas closer to my study. In other ways the situation that Suse Cairns describes herself in, the critically engaged museum outsider, was reversed for me – attached to an institution I have a solid but non-academic authority to speak or write about my professional practice; being a postgraduate student changed a lot of my feelings and motivations, but added little to any authority I have to talk even about my own work. On a mundane level the technology of study had changed immensely since I was last writing academic essays; and yet a lot hadn’t. Literature scrobblers like Mendeley and bibliographic management tools like Zotero make a huge difference to discovering and managing sources, but when it comes to spitting those sources out into footnotes and bibliographies, the limitations of referencing seemed painful. Such fine distinction between different types of printed journal and so little between vastly varying types of online sources (and a feeling, somehow hammered in an academic induction, that tutors would regard too many URLs-as-references as a sign of laziness). I spent a lot of time wishing I could just add hyperlinks to the text. Writing the dissertation was a lonely business. Weeknights reading until my coffee-bulging eyes defocused; Saturdays spent spreading my papers out across a meeting room at work instead of playing with my son. (Protip for Bloomsbury-based students: work in the Wellcome Library. It’s spacious, peaceful, quiet and free to join.) Academic writing itself has both pleasures and pains. Precision requires discipline: you can’t afford to gloss over fuzzy thought with clever language; but few kinds of writing are worse than essays that have never been read aloud to hear how they sound. One of the biggest pains is that the writing you try so hard at is ultimately read by so few people. Given the tedious way in which some quarters of academia never stop banging on about it, it pains me slightly to say this, but twitter was really useful. People answered questions, responded to provocations, lecturers shared reading lists, artists put me in touch with curators, and researchers shared articles I didn’t have access to. An academic I have still never met in person gave me the most useful and detailed feedback on a chapter I had. Sometime I should make a separate list of people that I follow just because I quoted them in essays (based on what they actually tweet, it would be a very odd list). I find myself asking what difference it’s all has made. I’ve learned a lot, including how to study; but study is really only its own end. Though it wasn’t really intended to, it might have opened up new career possibilities, even if I’m not sure exactly what. I met many interesting people, both students and tutors, and got a chance to put on a film show, which is always fun. Now, after nearly two years, I can read novels again without either guilt or impatience. In the first week after I submitted, I found myself wandering around bookshops and libraries, looking for things to be interested in next. Processing, insects, microbiological images all suggest themselves. But no more essays just yet. Annie Coombes introduced the symposium and the Birkbeck MA in Museum Cultures, focusing on three recent innovations in museum cultures themselves: digital experimentation, commemorating genocide and museums as social and community agents. Her own work focuses somewhere between the latter two: she highlighted some contrasts between popular and successful South African site museums, and the emergence of Kenyan ‘peace museums’. In South Africa, at Robben Island, where a national liberation narrative is presented in the context of a place where significant events took place. At Robben Island, tours are frequently given by former prisoners, but their narrative privileges the role of the ANC at the cost of the PAC or Black Consciousness Movement. Peace museums, very small collections of artifacts and media, often housed in only one room, have emerged in Kenya as part of reconciliation efforts since the post-electoral violence of 2008, but she highlighted the Lari peace museum, built in a location where longstanding social divisions between former Mau Mau and former members of the Kanya Home Guard went back to a traumatic event in the national liberation struggle. Such museums, she argued, through their presentation and reinforcement of fragmentary lived experience, for a local audience, provided an alternative to the grander and less subtle narratives of national liberation embodied in places like Robben Island. Gabriel Koureas discussed the foundation of the Imperial War Museum through its first director, Sir Martin Conway, and his attitudes to mountaineering, masculinity and the appreciation of the beauty of art. Like the ICA, the IWM was at first peripatetic, finding host venues for its exhibitions, the first of which was held at Crystal Palace in 1920. Its didn’t acquire its current home, a former hospital with a trademark psychiatric panopticon structure, until the 1930s. Conway’s concern was the assertion of masculinity & individuality against the suburbanisation of everyday life, and he considered art, like sport, to be a necessary and vital part of human life. The history of war through the presentation of objects (rather than say through memoirs, like that of ambulance worker W M Floyd) replaced war’s literal and traumatic connection with working class male masculinity (in that their purpose was to be operated by young working class men to kill other young working class men) with an aestheticised relationship in which their appreciation formed part of acquiring the previously aristocratic possession of taste. Pat Simpson presented part of her ongoing research into the State Darwin museum in Moscow, and its relationship to Darwinism and soviet science. Founded in 1907 by Aleksandr Kots, the museum uses a combination of art, taxidermy and objects to engage visitors with evolutionary science. Darwinism as an evolutionary theory was identified with the radical left before the revolution, and enjoyed favour in the initial Bolshevik period. The museum was called on to provide evidence of microevolution in the diversity of animal furs when the rouble had collapsed and fur was one of the USSR’s few reliable currency-generating exports. Mendelian Darwinism lost favour from the thirties with the emergence of a Lysenkoist model of evolution that harked back to Lamarck, and the inheritance of acquired characteristics (vernal wheat and a remade Homo Sovieticus). The objects, however, from stuffed elephants to sculptures of primitive man, having no inherent truths, were simply rearranged to represent prevailing theories. Since 1989, the museum has acquired a new building and an apparent rapprochement with orthodox Darwinism. Fiona Candlin, editor of The Object Reader discussed the decline of handling objects, and tactual associations with connoisseurship as function of curation during the last two centuries. Beginning with diary evidence of eighteenth century visitors to museums handling objects, she worked forwards to the late twentieth century when handling objects becomes an ‘access’ activity for ‘non-traditional’ (read working class) audiences at the same time as contemporary art moves away from the (touchable) object and into performance and relationally aesthetic work. The recognised virtue of connoisseurship, heavily dependent on touch and associated with the white cotton gloves of an expert depended on the integration of intellectual and technical knowledge, the kind of knowledge necessary to tell real from fake objects. Its decline was less due to the postmodern academic deconstruction of connoisseurship itself then with the expansion of the UK’s higher education system, the increase in students studying museum subjects and distance learning, all factors which made intimacy with objects less possible. The closure of the Museums Association diploma and professionalisation of museum jobs also distanced the intellectual appreciation of objects from their practical handling. During the Tory era, when cultural heritage organisations were expected to produce popular blockbuster shows, the V&A took the lead in separating cultural knowledge and expertise from collections management, a practice that has now become the norm. After the Labour victory of 1997, commercialisation was renounced, but social inclusion and education were prioritised, with a corresponding de-emphasis on the inherently tasteful knowledge of the ‘curatorial caste’. Curatorship has moved into a kind of showmanship; Frieze magazine has compared curators to film directors, artists, editors, authors and CEOs; meanwhile the title of ‘curator’ is applied to many other activities such as programming (most of which involve some kind of selection): intimate knowledge of objects is no longer its characteristic. Opening objects to handling by the public suggests a corresponding transfer of ownership: museum collections now ‘belong’ to us, but a simultaneous emphasis on the visual creates a more democratic picture of museums, because the sight of objects is equal to all. Silke Arnold-de Simine discussed the phenomenon of DDR Museums, and their relationship to memories of everyday life. The memorial landscape of the DDR is divided between memorials to oppression, and displays and collections around everyday life in the DDR, a country which effectively ceased to exist in 1989. She concentrated on two examples, the commercial DDR Museum, a visitor attraction in Berlin, and the Documentation Centre of everyday Culture in the DDR, both of which seek to create some sort of picture of life in the DDR separate from a commemoration or preservation of the mechanics of the oppressive regime itself. Both are controversial to some extent for their concentration on ‘ostalgie’ (the culture that fetishises objects like ampelmännchen), but claim to deal with the gap between personal memory and political cultural memory. The two institutions differ: while the DDR Museum caters to international visitors, the Documentation Centre aims for a more comprehensive picture of diversity through catalogued objects and associated donors’ stories. There is room for a ‘reflective nostalgia’ which also functions in some ways as a critique of post-Wende German capitalism.